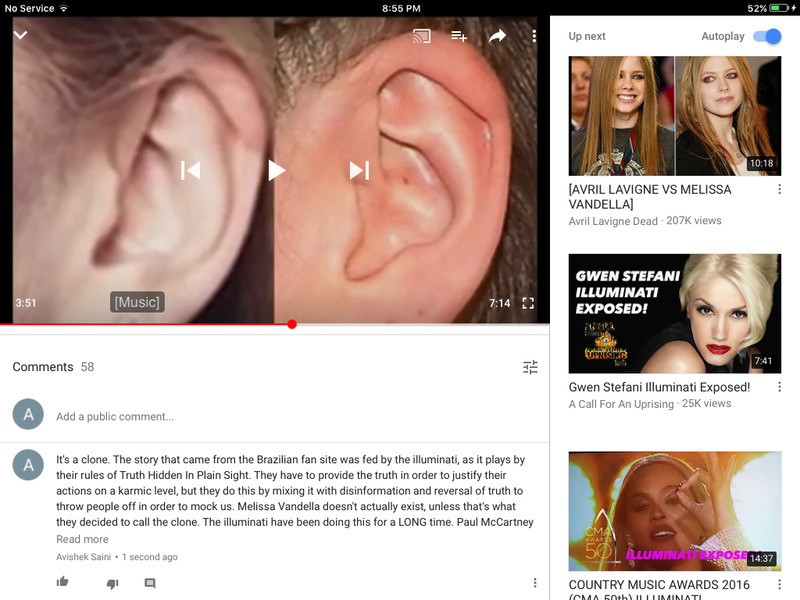 This is all of the evidence that I have compiled proving that singer Avril Lavigne died circa 2003/2004 and was replaced by a clone/doppleganger. I have been sitting on all this for a while now. 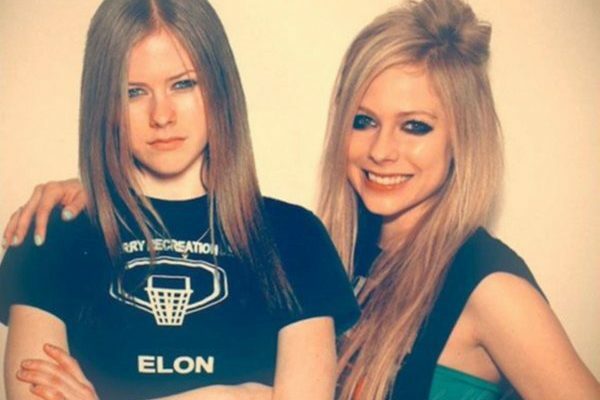 Perhaps you have heard stories in the mainstream media contemplating the massive changes that have taken place over the course of Avril Ramona Lavigne’s career, which officially began with the hit song Complicated in 2002. 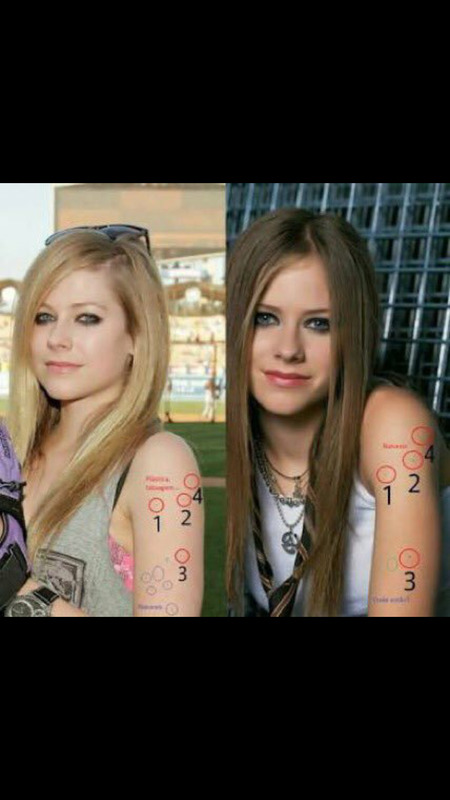 The story goes that Avril had been on her first major tour in support of her smash debut album Let Go when she was suddenly informed of her grandfather passing. 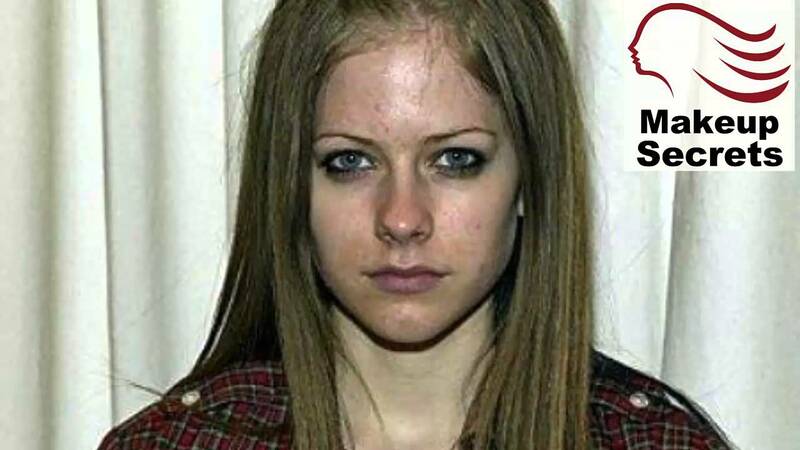 As the story goes, Lavigne was extremely unhappy with the newfound pressures of fame. One of the major breaking points that led to her decision to kill herself (whether this was a voluntary act or not is debatable) was an incident where she was ambushed by the paparazzi vying to take her picture in the middle of a small cramped environment (supposedly an underground subway) which led her to realize that fame was a trap. She managed to get away unscathed thanks to the help of her bandmate, Evan Taubenfeld, but had been supposedly psychologically scarred by the incident. The story goes that Avril ended up hanging herself while she was in the middle of recording her follow-up album, Under My Skin. Considering that she had ended up being the biggest star of the year when she debuted in 2002, her label was desperate to let the success of her fledgling career continue. It was then that they resorted to the old playbook of replacing Avril Lavigne with an imposter (the way Paul McCartney had been replaced by William Shepherd (stage name Billy Pepper) who was frontman of the band Billy Pepper & The Pepperpots in 1966) in order to continue her legacy. Just as with The Beatles, Avril’s music endured a drastic overhaul in order to fit more in the style with of the new impostor so as to make her feel more comfortable playing her new role. 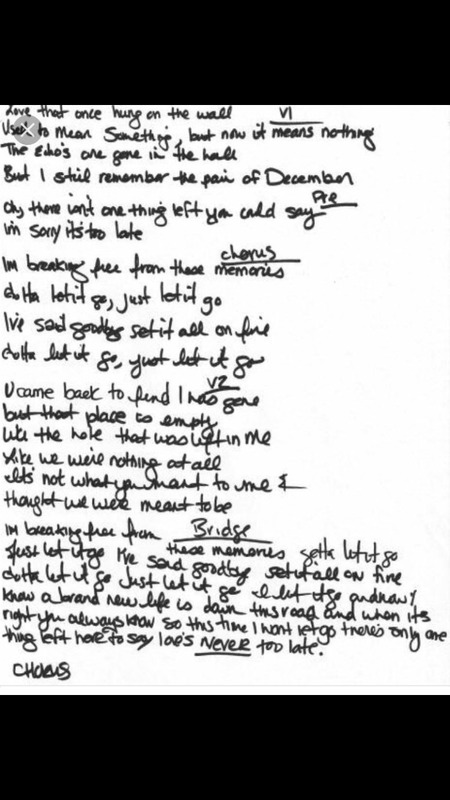 Whereas The Beatles music became more complex with the release of 1967’s Sgt. Pepper’s Lonely Hearts Club, Avril’s music became decidedly more cheerful and immature with the release of 2007’s The Best Damn Thing and its lead single Girlfriend. 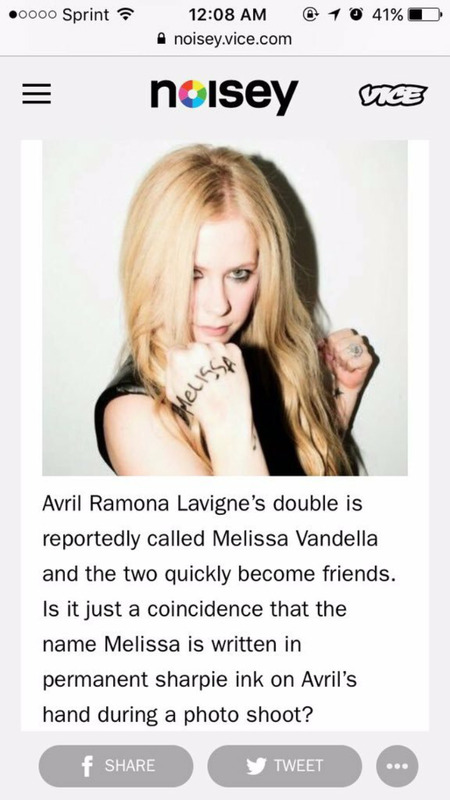 All this information was stumbled upon either by accident, or information was fed to the Avril fanbase from the illuminati (under the pretense of a hoax) from one of her international fansites. In any case, death by hanging always signs of illuminati ritual sacrifice. 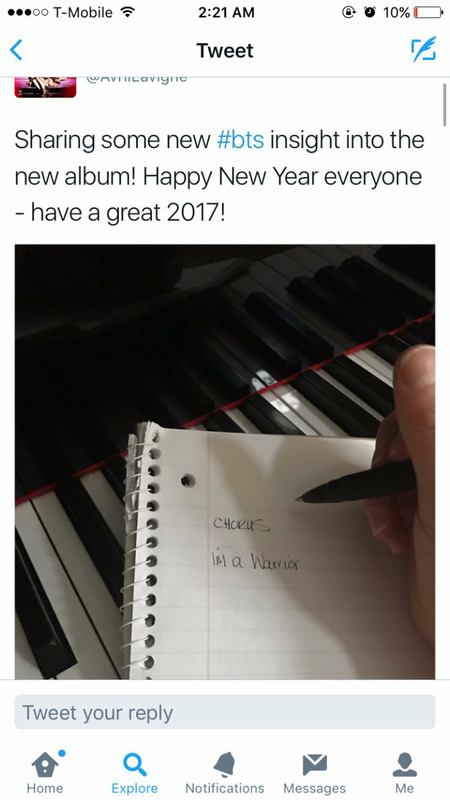 Robin Williams, Chris Cornell and Chester Bennington all died by “hanging” as well. Her voice has gotten higher over the years. Never heard of puberty causing a person’s voice to turn higher than before. Her teeth have caps now. 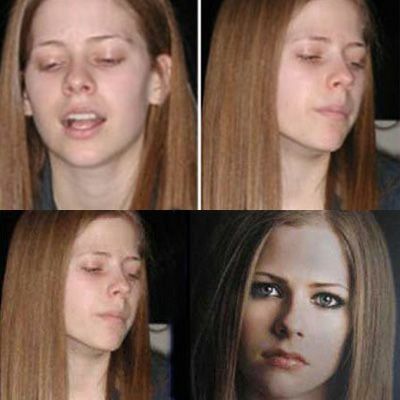 The original Avril has a snagtooth on her left canine which is pretty noticeable. The new Avril does kind of look like she has it but it’s drastically reduced and her crowns are always shiny now, indicating that it’s not her real teeth. Once you become familiar with stuff like this, including the “Paul McCartney Died In 1966” evidence, it becomes so easy to pinpoint all the signs that indicate an imposter. It’s so obvious that all the things people say Avril is a hypocrite for is actually because it’s a completely different person playing her now. In fact, nothing about Avril’s past history makes sense either. She just so happened to be called up to sing along at a Shania Twain concert, one of her first concerts ever? She just happened to go to California and booked a meeting with LA Reid and got to sing in front of him? Please. These things don’t just “happen”. It seems to me that she was groomed for this from the beginning and replaced when they decided to change her image and mock her fans who bought into it. Avril Ramona Lavigne (born 27 September 1984, Belleville, Ontario) is a Canadian singer.